Vancouverians! 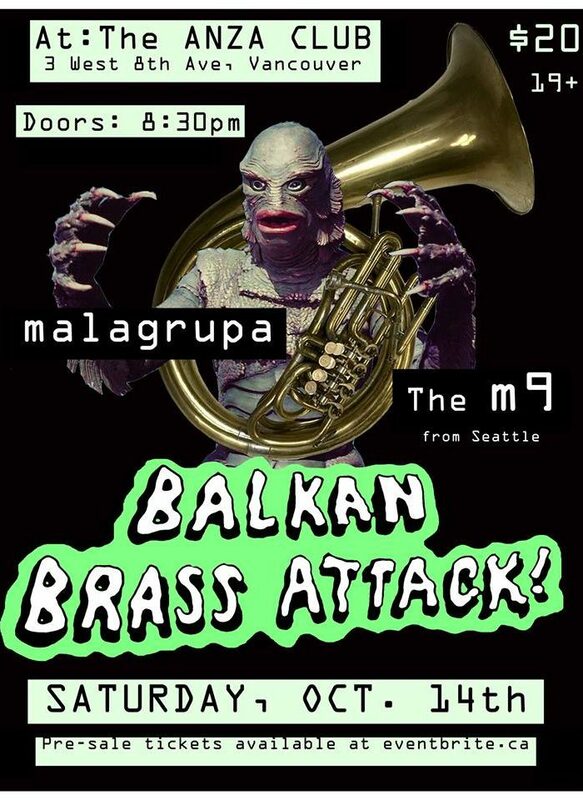 Join forces with malagrupa and The m9 as we do battle against aliens from another dimension| horrifying swamp monsters| the impending cold and wet period which inevitably follows summer! Dance like crazy and beat back the Fall! ANZA Club (19+) will hold only 100 of our closest friends, so get the tickets now!